This course introduces some methods commonly used in program evaluation and real-world effectiveness studies, including two-stage modeling, interrupted time-series, regression discontinuity, and propensity score matching. These methods help address questions such as: Which medicine is more effective in the real world? Did an advertising program have an impact on sales? More generally, are the changes in outcomes causally related to the program being run? apply quasi-experimental analysis methods to real-world data for the following techniques: propensity score matching, Heckman's two-stage model, interrupted time series, and regression discontinuity. Data analysts, statisticians, and economists in the fields of finance, telecommunications, pharmaceuticals, and retail and in the public sector, who have an understanding of basic statistics and SAS programming. Those who work in areas of economics, program evaluation, and real-world effectiveness studies will find this course highly relevant. Statistics 1: Introduction to ANOVA, Regression, and Logistic Regression. Prior study of multiple linear regression modeling is required. 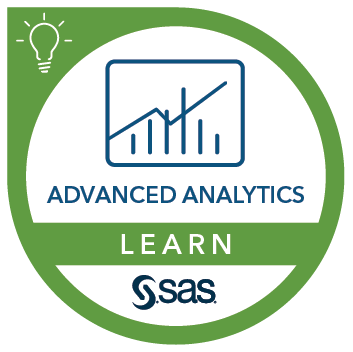 This course addresses Base SAS, SAS/ETS, SAS/STAT software.